If you have ever suffered from constipation, you are not alone. 63 million people in North America suffer from constipation, and, if not treated, it can lead to a host of other health issues. For some people, adding fiber to the diet is not enough. And yes, for those people there are harsh chemical laxatives. But are there natural remedies? Turns out, there are! Cascara sagrada is a natural laxative made from the reddish-brown bark of a tree (Rhamnus purshiana) native to western North America. In 1999, the herb made up more than 20% of the national laxative market in the U.S., with an estimated value of $400 million. In fact, it is widely considered to be the most widely used cathartic in the world. Originally used by Pacific Northwest Native American tribes to treat constipation, the herb was introduced to Spanish conquerors that gave it the name "Sacred Bark" (cascara sagrada) in honor of its effectiveness. In 1877, cascara sagrada was admitted to the U.S. Pharmacopoeia and is still included in the registry as an official medicine. Early plant chemists have identified the active laxative constituents in cascara sagrada bark as anthraquinone derivatives. These compounds stimulate peristalsis, the vigorous wavelike contractions of the large intestine that keep food moving through the digestive system. When cascara speeds the process up, the body produces a softer, quicker bowel movement because the intestine has had less chance to absorb the liquid from the stool. Several studies have shown that cascara sagrada is effective in easing chronic constipation in elderly people. In fact, Jon Barron uses it in his Colon Corrective formula. Possibly one of the herb’s most valuable properties is that long-term usage is typically not necessary. Not only does the herb alleviate constipation but may also “cure” it as well. According to the Dispensatory of the United States, "It often appears to restore tone to the relaxed bowel and in this way produces a permanent beneficial effect." It literally gives the muscles in your bowel a work-out so they can be strong again and do their job. Pretty impressive remedy from mother nature! In addition to being used as a laxative, it has been used as a treatment for gallstones, liver ailments, hemorrhoids, fissures, and even cancer. Some people use it as a "bitter tonic." You can sometimes find it used as a flavoring agent in foods such as candy, frozen dairy desserts, and baked goods—no joke, but it should be noted that the anthraquinones have been removed--and is used in the processing of some sunscreens. The herb can be found currently in many forms including tablet, powder, liquid, dried, or as a capsule. To work properly, the bark must be cured for at least one year or heated and dried to speed up the aging process. So, be careful from where you buy your cascara sagrada and make sure it comes from a trusted source. 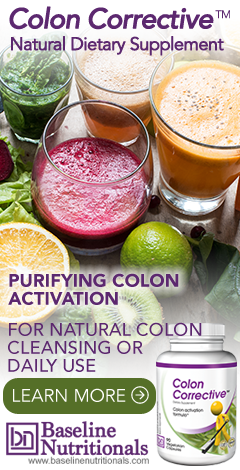 For more about colon health, click here. Thanks so much, John. Cascara segrada is often listed as being contraindicated during pregnancy because it can cause contractions ... contractions of the colon to evacuate, but in really huge amounts, contractions of the uterus. The Native Americans often hung cascara to dry and cure in the top of their teepees where the central fire's smoke and heat "oxygenated" the herb and relieved it of its gripping properties. Today, some companies that employ cascara in their colon products do likewise. Such cascaras are both safe and effective, serving as a hydrogogue (pulls water into the stool) to improve a dry stool and support motility.